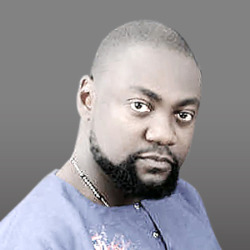 Nollywood actor, Yemi Blaq, has waded into the issue of domestic violence that has destroyed the homes and happiness of many Nigerian thespians. “Domestic violence can be identified early. Once you see that a man possesses that trait, just take a walk. Don’t bear it or try to change him, it might get worse. When Blaq was reminded of the widely-held impression that Nigerian actresses are prone to infidelity, the soft-spoken movie star disagreed with such assumption. “I don’t know a group of people called celebrities. But I know that as an individual, one can be prone to all sorts of things. I think being in front of the camera, be it as a singer or actor exposes you to all sorts of things. You know what I mean? But it all depends on what you want for your life and how you want it to go. “As an actor, I have found myself in some compromising situations, but it’s not necessarily about me being an actor. Every other person or persons can as well find him or herself in such a dilemma too, the main issue is how you deal with it afterwards; how you handle the situation and walk away. On how he deals with some excessively stubborn fans that wouldn’t let him be at public places, the actor maintained that he is always equal to the task. “At some point, stubbornness is a good trait in human beings and I am also a stubborn person, so I know how to handle those kind of female fans when they come my way,” he stated.